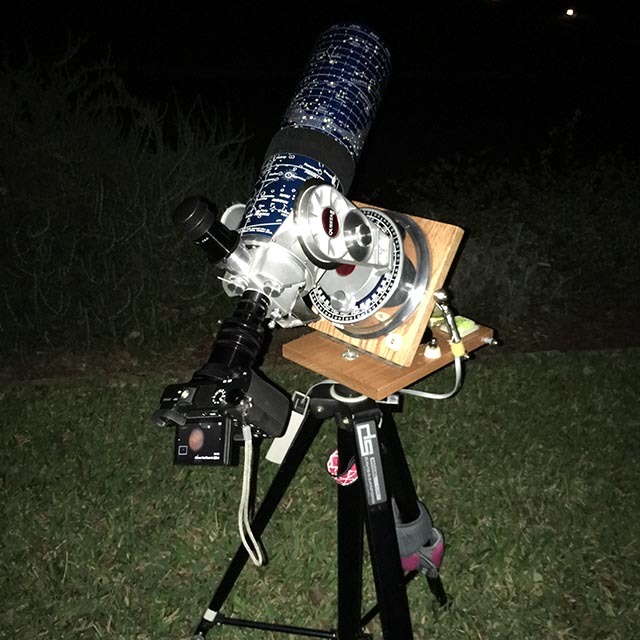 More recently I've switched to using a Skywatcher adjustable wedge and Manfrotto tripod. This combination makes it easier to make find adjustments and increased the stiffness of the mount. I compare these wedges and tripods along with some sample images in a post in my blog. 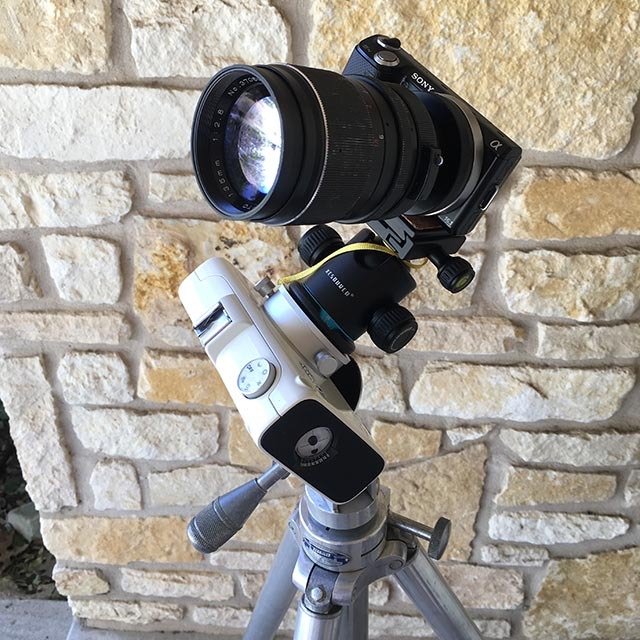 In addition to the Questar with its built in fork mount, I also use the a6300 with a Vixen Polarie mount and both wide angle and telephoto lenses. This makes a near a near ideal ultra light weight package for nightscape and time lapse photography. 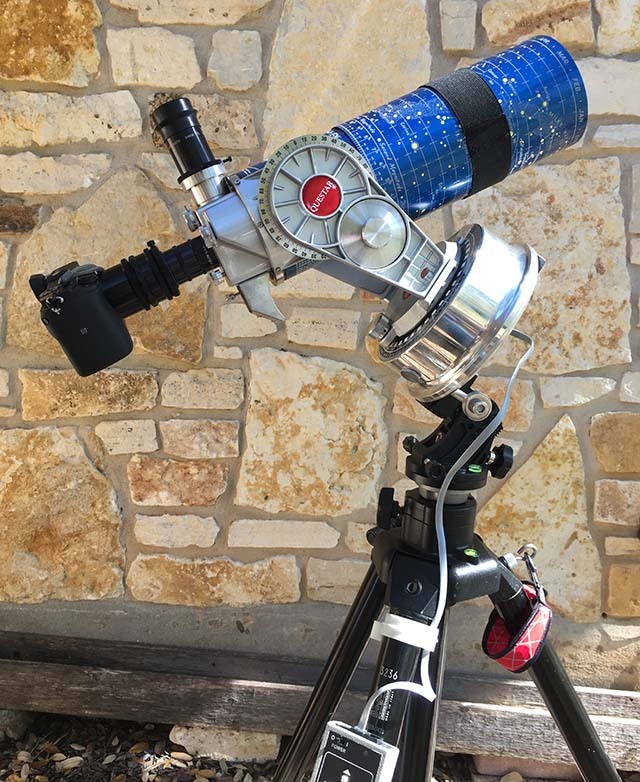 I usually mount the Polarie on a classic Tiltall tripod made by Marchioni in New Jersey. The Tiltall is a classic lightweight tripod, but lacks cross braces for the legs making it less stiff with heavy loads like a telescope.